Hydrostatic Test Pump are used to provide the hydrostatic pressure for testing pipes and vessels. Hydrostatic Test Pumps are available in either pneumatic or manual configurations with up to 10,000 psi maximum pressures. EST Group P-Series Hydrostatic Test Pump is a compact portable air driven diaphragm style pump available in either 2500 psi or 10,000 psi maximum pressures. 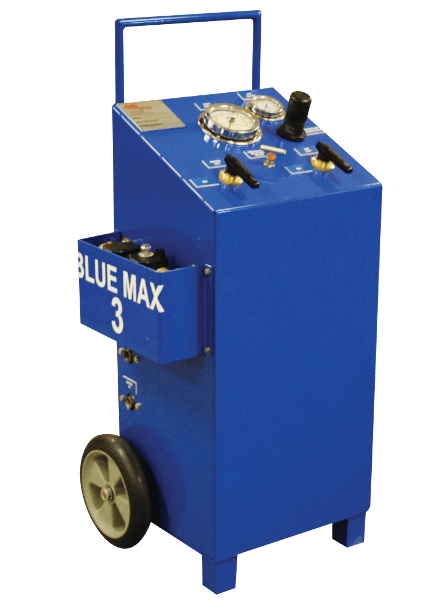 EST Group Blue Max III is a portable air driven diaphragm style pump available in either 1000 psi, 3600 psi, or 10,000 psi maximum pressures. The enclosed cabinet is on wheels for easy one man operation. 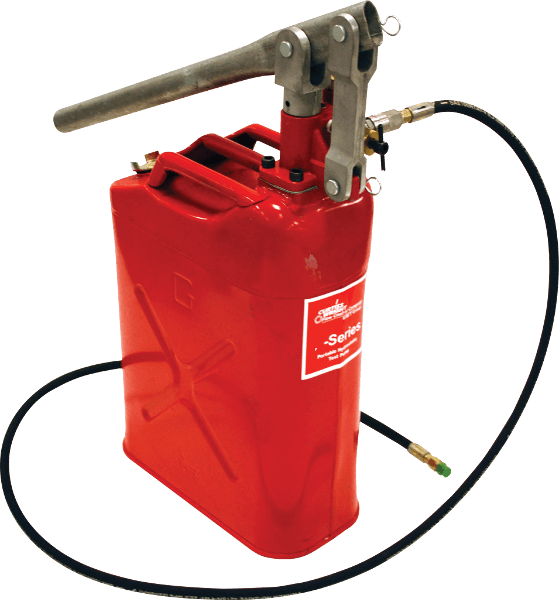 EST Group P-Series Manual Hydrostatic Test Pump is a manual pressure testing pump available in 3,000 psi. 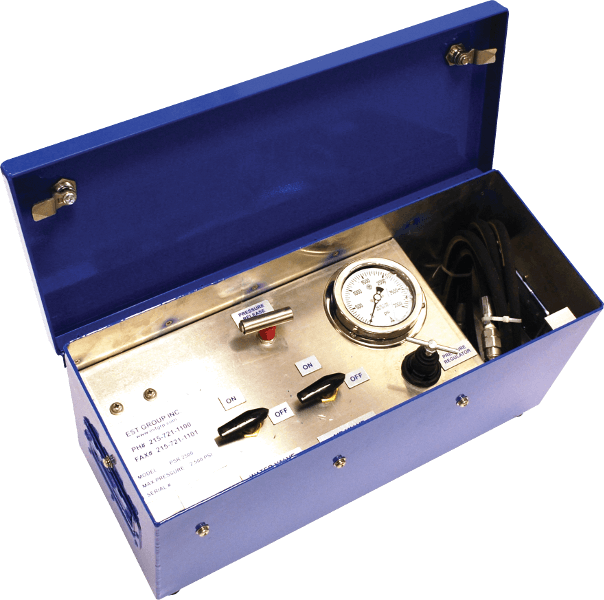 A 10,000 psi high pressure hydrostatic test pump option is also available. Pickford offers hydrostatic test pumps for sale to all of Western Canada including Manitoba, Saskatchewan, Alberta, and British Columbia from our 40,000 sq.ft. Edmonton warehouse.